We had a lovely summer, but now it seems that winter has arrived in full force. The temperature has dropped and it has been rather cold and rainy lately. Luckily little man has been keeping warm with Yellow Mellon gorgeous clothing range. Little man loves wearing onesie during the cold months, he was delighted when he saw this extra thick warm fleece dinosaur animal onesie, available in 2-7 year for RRP £11.99. It is extra thick and cosy, made with super soft fleece in a colourful and bright style. In case your little ones prefer other designs, Yellow Mellon also has a gorilla, leopard print and even a red monster onesie. They are perfect to keep little ones warm in the cold winter ahead. Little man started wearing onesies last winter, and I’ve noticed that he sleeps longer when he wears a onesie as compared to pyjamas. Somehow he keeps moving and uncovering himself when he is sleeping, but with onesies he doesn’t feel the cold when his duvet ends up on the floor. Besides, onesie is also perfect for a relaxing day at home. According to little man, onesies are also perfectly acceptable to be worn outside too. He thought it would be a good idea to visit our local park wearing his dinosaur onesie. If you asked me, I would say he looked cute! 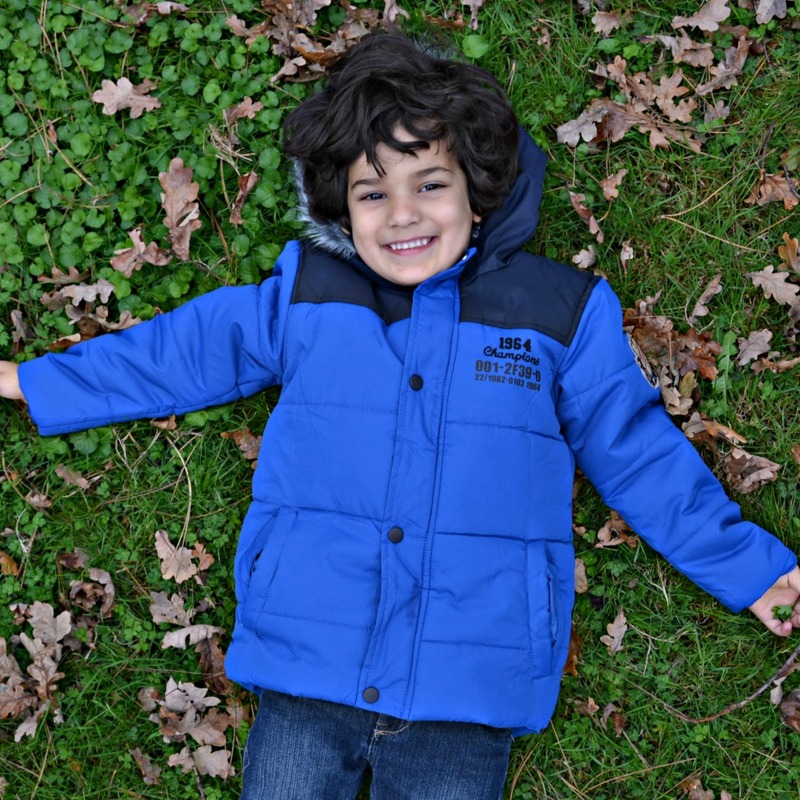 Now for a more traditional outwear, little man really likes his stylish Freaky Gorgeous Jacket (RRP £14.99, available for children aged 3 to 10). 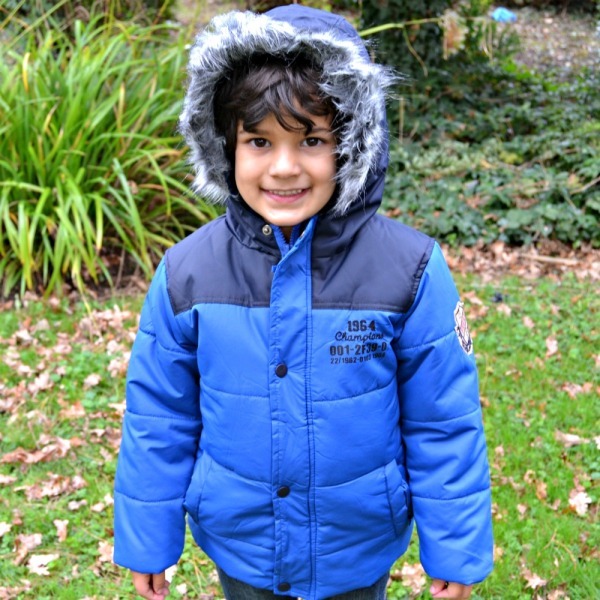 The beautiful blue winter jacket has two front pockets and elasticated cuffs. It features a comfortable polyester lining and faux fur trim at the hood. Little man says that he looks like an eskimo when he is wearing it and I have to agree with him. Overall, we are very impressed with the quality of Yellow Mellon products. tThey offer a wide range of affordable kids clothing, for boys and girls. Lilinha Angel’s World has teamed up with Yellow Mellon to offer one of our readers a £25 voucher to spend on their website. For your chance to win, please enter via the Gleam app. You MUST leave a comment with your favourite kids clothes from Yellow Mellon website and subscribe by email (compulsory entries). You can also gain extra entries by tweeting (daily entry), subscribing to other social media channels, etc. T&C’s: The winner will be randomly picked by Gleam after the closing date on Monday 17h November 2014. Lilinha Angel’s World will contact the winner by email or Twitter within 7 days wherever possible and will allow 7 days for a reply. Open to over 18′s and UK only. If I do not hear anything within this time period I reserve the right to redraw a winner. Lilinha Angel’s World decision is final. 190 Responses to "Kids Fashion: Yellow Mellon Winter Jacket and Dinosaur Onesie – Competition to Win £25 Voucher"
I would buy the Disney Frozen Girls Blue All In One for my youngest daughter and the F-Kids Girls Top And Pyjama 2 Pc Set Pink/Purple for my older daughter along with a pair of Girls Fluffy Heart Earmuff Pink for them both! Thank you! my daughter loves green!!! these are really reasonable prices! I would love to get each of my girls a frozen onesie and my son the superman one!!!! Sateen Bodice Girls Flower Detail Occasion Dress White/Red & Minnie Mouse Fleece Hood Girls Puffer Jacket for my granddaughter, thanks for the chance. The Superman cotton briefs – we’re a bit low on underwear at the min! my daughter would love this dress. What excellent prices too. A porcelain kit to make christmas presents for the family. I would love to buy my daughter the blue polka dot jacket. I’d get the age 2-3 formal suit for a little boy! so sweet! I think a couple of the haywire hoodies. They look nice and warm, and my eleven year old is apt to take his coat off the second he leaves the house. Kids eh. The Dinosaur Onesie is amazing!! I’d buy new pyjamas for my nephews. The Sequin Sheer Pom-Pom dress would be lovely for christmas. I would choose a selection of items for my niece, including the Minx Girls Flower Print Smoke Dress Purple 3-7 Years. I wish they did this in my size – Rock A Bye Baby All In One Snowsuit Cream/Black 0-6 Months in leopard print. I would love one for my first child due in a few months… eeek exciting times! i would get the beautiful bee bo gift set for my friend but not sure what shes having yet to choose a boy or a girl set! Like the look of the Girls Minx silver stripe print dress and legging set! I’d buy new pjs from santa for the girls – love the Frozen ones. I really like the boy’s skull print onesie! It would have to be the PJ’s or the onsie! I’d get a set for both of the boys to avoid arguments!! I would buy these for my Boys the Varsity Team boys jacket. Oh wow, so many lovely things and great prices. I have twin grand-children at almost 3 (a boy and a girl) and would love to treat them to undies for potty training and a new hoodie each for when we go walking. I do like the boy’s panelled jacket. I think I’d choose the Girls Lovely Smartfit Faur Fur Warm Jacket Cream 2-8! I love love love love the xmas older girls onesie! look at the little bunny ears on the top!!! Official Disney Frozen Girls’ Pyjamas! 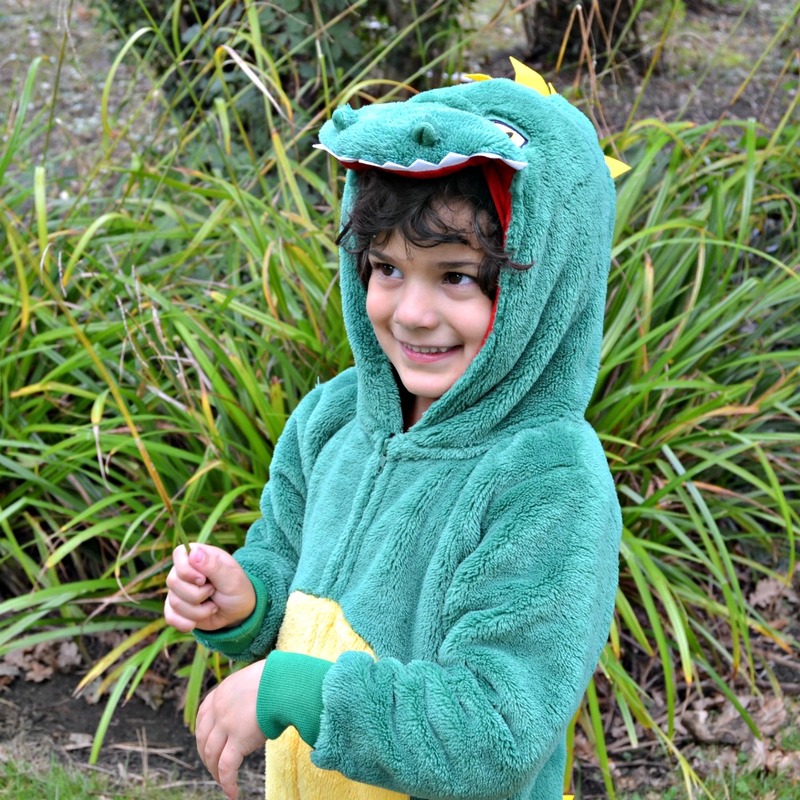 The dino onsie with hood! It’s awesome. but I might buy some pyjamas for my niece too! I really like the Freaky Back To School Panelled Jacket. 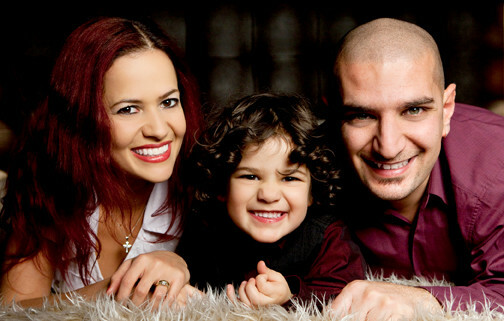 I’d buy my son a red monster onesie, so cute! 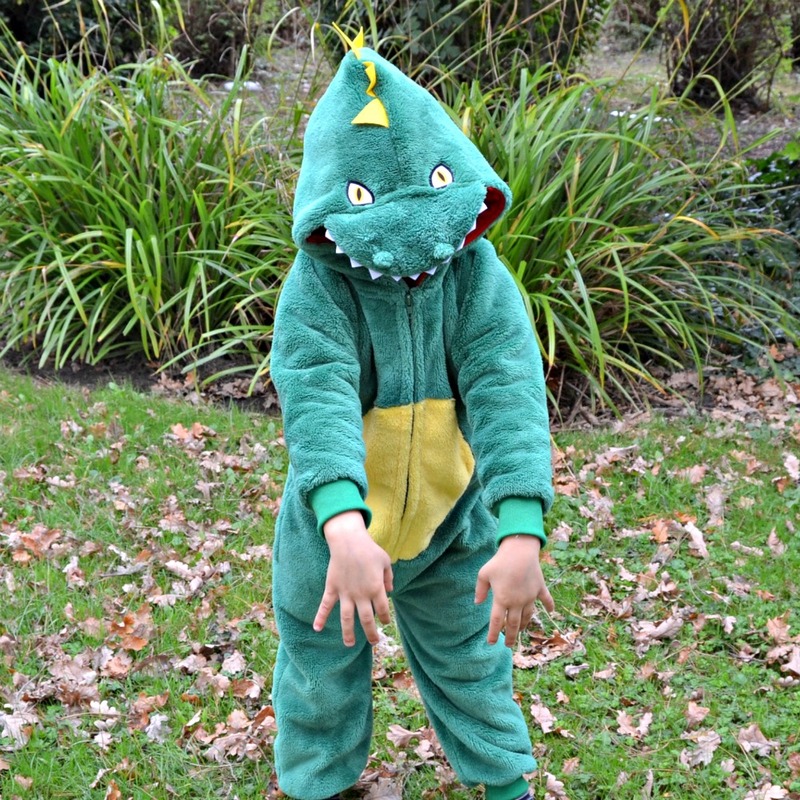 Anything with dinosaurs – my son loves them!!!! I would choose the pink kitten hat and scarf set. my nephew loves mickey mouse, I would buy some of the character wear, including these pyjamas! The boys’ jackets are really nice! I love this superman onesie! Super cute!!! 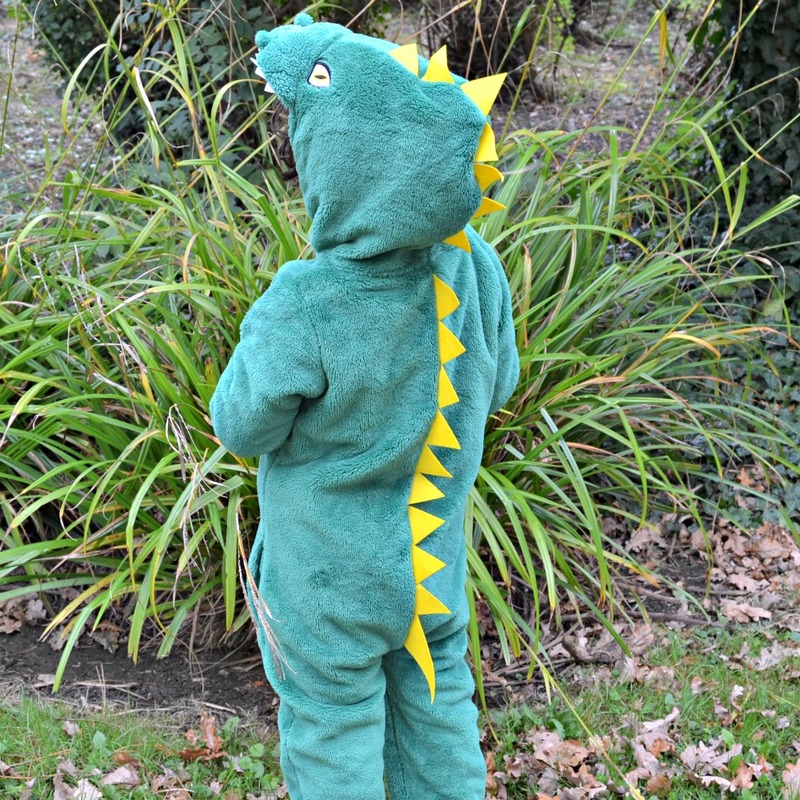 I love the dinosaur onesie – my toddler is a big dinosaur fan too.